Punching Abilities or Dielectric Strength of Transformer Oil - ! Equipment for Transformer Oil Reclamation. GlobeCore. “Dielectric Strength” is an engineering term that describes the maximum voltage that insulating oil can withstand without damage or interference. Dielectric strength is the main characteristic of liquid insulating oils and is one of the main criteria for the testing of new oils on reliability and suitability for use in electric power transformers. Reduced operational capability of transformer oils is a major cause of accidents and catastrophic transformer failures. That is why oil must be monitored and cleaned and purified before it becomes harmful to the transformer core and solid insulation. Before using and installing insulating oil, it is important to establish the parameters of the dielectric strength necessary to properly protect the transformer. Additionally, it is important to establish a preventive maintenance program that best meets the needs of the electric power equipment. Indicators are computed by exposure to high voltage insulation in a specially equipped medium which can be used to measure the potential electrical breakdown. “Dielectric Breakdown” is the indication of a transformer insulating oil’s ability to withstand electrical load. The international test standard for dielectric strength is found in the American Society for Testing and Materials (ASTM) standard D-877. The test for dielectric strength of is quite simple to perform and the results are very easy to use as a reference value in the comparison of data from multiple test and trials. The voltage used to check the dielectric strength of the transformer insulating oil typically ranges from between 5,000 and 400,000 volts (5-400 kv). A sample of transformer oil is placed in a cleaned container for testing. In the same vessel, usually at the bottom of the vessel, two flat electrodes are placed at a distance of 2.5 mm (sometimes 4 mm, for checking the operation oils in certain types of transformers) from each other. The two electrodes are slowly charged with electricity with the voltage gradually rising. Eventually a spark will jump between the two electrodes as the voltage is increased. This test is repeated between three and six times and an average voltage of the testing is used to arrive at the actual “Breakdown Voltage” number. This number indicates the voltage level at which the oil will breakdown and conduct electricity. 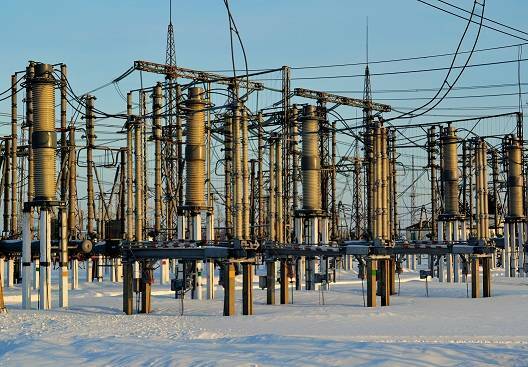 Once the oil becomes a conductor of electricity, it can no longer function as an insulator for the transformer’s core and windings. Testing to determine the dielectric strength of transformer insulating oil is the most important test because dielectric strength is the one performance characteristic that determines the operating ability of the liquid insulation. Dielectric strength must be high enough to protect the solid insulation and ensure the safe operation of the transformer. New or recently purified transformer oil that is clean will yield higher test results than used oils that contain moisture and mechanical impurities. The Minimum breakdown voltage for transformer insulating oil (dielectric strength) that is considered safe is 30 kV. There is a range of equipment on the market that utilize specialized testers that can check the value of the “Breakdown Voltage” number taken from of transformer oil samples.